That teeny-tiny egg is a quail egg - specifically, an egg laid just a few hours earlier at The Biblical Museum of Natural History. 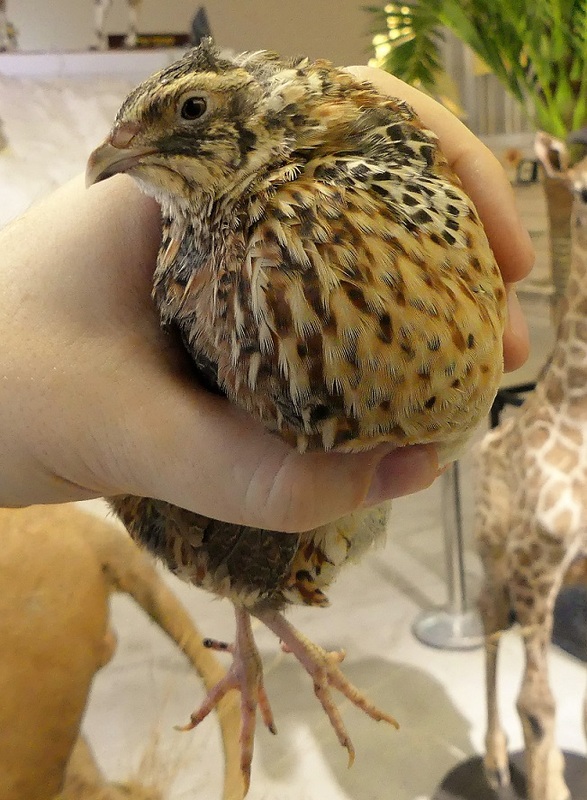 We are breeding quails in order to be able to serve a quail to each person at the forthcoming Exotic Biblical Dinner. But the incubator already has forty eggs in it, and doesn't have room for any more, so I decided to take this one home for dinner. 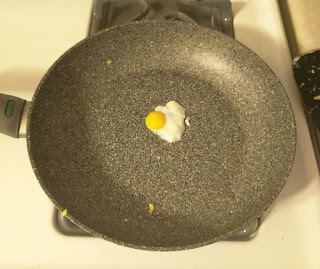 I can't say that it tasted like much - it was so miniscule that I swallowed it before having time to really appreciate it! 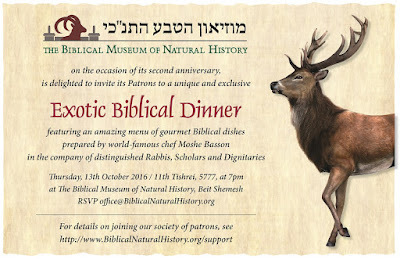 Quails are not only mentioned in the Torah as kosher birds; they are also relevant to Rationalist Judaism. Upon initial appearances, the description of the arrival of the quail in the Torah appears to be portraying a miraculous occurrence. The sheer numbers of them, their sudden arrival all together, their ease of capture, and even the mysterious plague that followed all seem to be supernatural events. This is indeed the way that some explain it. However, some explain differently. Earlier, the Torah describes how Moshe doubted God’s ability to provide meat for the entire Jewish People for a month. This is obviously very difficult to understand – Moshe was well aware of God’s infinite powers! Ramban explains that Moshe certainly did not doubt that God could provide meat by way of a supernatural miracle. But Moshe understood from God that this would not be done by way of a miracle. According to Ramban, miracles are very black-and-white affairs. They are either an act of absolute compassion and reward, or an act of strict judgment to exact retribution from the wicked. But in this case, it was going to be an event that combined merciful and harsh aspects. God stated that he would provide meat until the people were sick of it and it would be coming out of their nose. Such an act would clearly not be done as a miracle. Furthermore, miracles were always described in advance to Moshe, which did not happen here. Moshe therefore correctly concluded that God did not intend to provide meat for the people by way of a miracle, but rather through natural means. It was this that Moshe queried, asking how is it possible to provide meat for such a large number of people through natural means. But according to this view, that the arrival of the quails was within the parameters of a natural occurrence, how are we to understand it? How could there be so many millions of birds, all suddenly arriving in one place, and being easily caught, as a natural phenomenon? The answer is that, unlike other game birds, quails can indeed suddenly occur in huge numbers that are easy to capture. They migrate over the Mediterranean in vast numbers and arrive in the Sinai absolutely exhausted. That's how God was able to provide meat to the Jewish People without performing a supernatural miracle. Quails are very small birds, but when you have millions of them, it adds up! At our Exotic Biblical Dinner, though, quails are merely one of many courses. There's plenty of other birds, beasts, and bugs to fill you up... 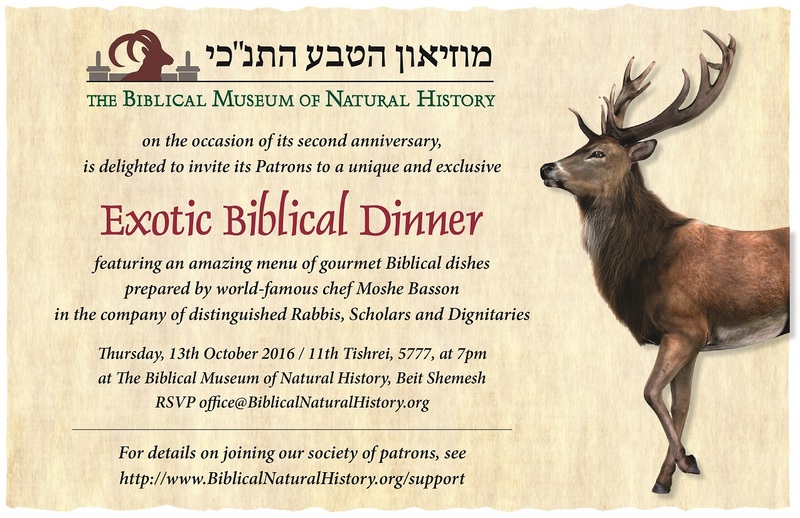 If you'd like to join the dinner, and thereby help support the museum, please see details at this link. R' Slifkin, I am curious about the practicalities of eating quail -- Is kosher quail meat commercially available? Or is this a "custom shechita" thing? what would you is the tastiest thing on the menu? Another point that makes a natural occurrence more believable is the proposition that the population which left Egypt was significantly fewer in number than one would assume from the numbers given in Shemos. Possible explanations are beyond the scope of this comment. "There's plenty of other birds, beasts, and bugs to fill you up"
Wait a minute--locusts are on the menu?